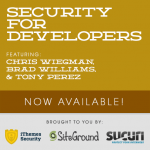 Chris is the developer of iThemes Security (formerly Better WP Security) and has been working on WordPress security for over 5 years. Previously a captain for a small airline Chris’ interest in security began on his first day as an employed pilot, 9/11 and gradually evolved over the years to helping individuals and smaller organizations protect their websites from many of the common methods attackers use to compromise their victims. When not coding Chris loves to teach and has taught computer security for St. Edward’s University as well as other courses ranging from computers to aviation.